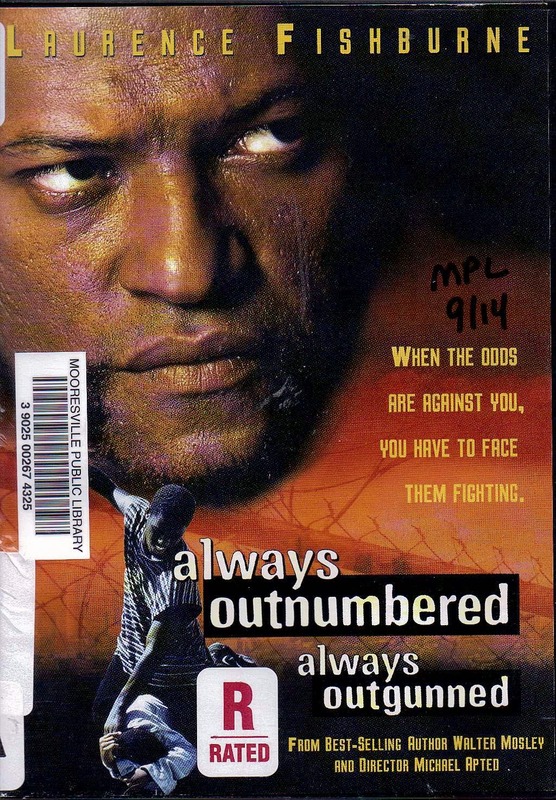 Walter Mosley’s short stories come to life with the flawless acting of Laurence Fishburne in the title role of Socrates Fortlow, an ex-con living in the Watts section of Los Angeles. The screenplay is also by the author, so nothing is lost in the way of character development and the film is a seamless companion to the book. When Socrates moves into the neighborhood he forms an unlikely bond with an 11 year old boy who is living with a secret; much as Socrates is. There is a violent incident in the boy’s past which haunts him. Realizing that holding this secret in will only lead the boy down wrong path he sets out to encourage the boy to face up to the fear and put it behind him; before it follows him, forever shadowing his life. While looking for an honest job at a supermarket, he collects aluminum cans which he redeems at the grocery store. Pushing a shopping cart with the rest of the homeless and disenfranchised affects Socrates in a predictable way; he is angry at the seeming injustice of the whole system. His best friend is sick and cannot afford the medicine he needs to allay the pain of dying; much less the medical bills to be treated. But Socrates knows someone who can provide the relief his friend needs, and he is happy to provide the money necessary. His friends wife is a woman who does not trust men; particularly African-American men; underscoring the gauntlet which many African-American men must navigate within their own communities. Disenfranchised from without and scorned from within. As Socrates struggles to accept his past, he also needs to fight for his future. But that future depends on the job at the grocery store, and his lack of a car prevents his being hired there. Meantime his friend; who is too proud to take a job in a lesser position than the one he lost; struggles to keep his marriage together. Socrates wants to help him, but can’t understand why he needs to be encouraged; after all he has a wife and child to take care of. Isn’t that motivation enough? This movie; and the book by Walter Mosley; both serve to underscore how little we have moved forward socially; as far as economic progress is concerned; since these stories were written almost 20 years ago. If you have never read the stories then this book will serve as an excellent introduction to a the character of Socrates Fortlow, a man who is emblematic of not only the African-American struggle socially; but also of the every man in America today who all fight to keep our heads above water and provide a future for our families, as well as our communities.